Sláinte everyone & happy St. Patrick's Day! The gentlemen are drinking Fortem from the Firestone Walker Leo v Ursus series, the full review of this IPA on the show. The 21st Amendment Girls are 'Exercising the 19th' while putting Firestone's Velvet Merlin vs Ballast Point's Red Velvet against each other. Who will win?! In sports news; spring training is in the air, more athletes having their homes robbed, bad news for LaMarcus Aldridge, NFL free agency and much ... Más informaciones more. The guys received an email about making the show better, Greg makes it awkward with his neighbor and Elvia has a segment dedicated to Chick Hearn. Dan reviews 'Spectre' from the James Bond series. In beer news; the guys try Hopscape-the Samuel Adams seasonal failure, an IPA 10k, Anheuser-Busch doing the right thing and St. Patrick's Day toasts from the booze league. Beer Babe of the Week is @DallasBeerBabe, make sure and follow her on Instagram. Old Timey Word of the Week: "Get one's ashes hauled". Use it in a sentence on social medias for a shout out! Make sure to get our new Beer Science ringtone, search the iTunes store or tuunes.co. 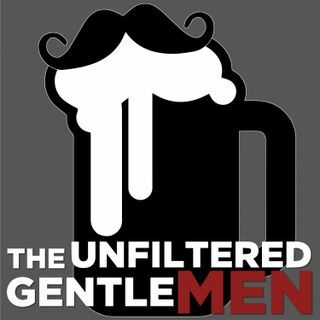 And don't forget to check us out at www.theunfilteredgentlemen.com, www.facebook.com/unfilteredgentlemen, @unfilteredgents on twitter and TheUnfilteredGentlemen on Instagram! You can also call in (805) 538-BEER, we'd love to hear from you! Thanks for listening Horror Stories! Cheers!